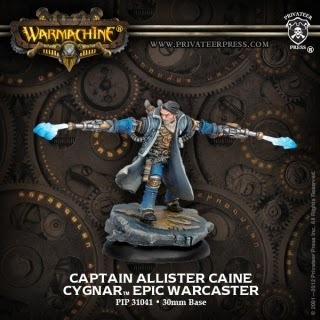 The Way Caine takes you on a journey through the life of warcaster/gun mage, Allister Caine. From his days as a thief to his first solo command of Cygnaran forces while on a black ops style of mission. I was never fond of the character from what lore was available prior to this book, but the guy has a way of growing on you. I couldn't get enough of this, Caine is a well balanced mix of all the well know action heroes and it ended too soon. 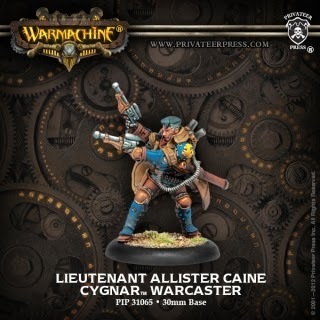 Although I felt the book was moving a bit slow at the start, it quickly got on pace once Caine enlisted and it as almost non-stop fun and action from there, I would recommend this one to not only fans of the Iron Kingdoms but to anybody that enjoys a good action book. Of the three Iron Kingdoms books I've read so far, it's the best one and has set the par for all the other books I have yet to read. 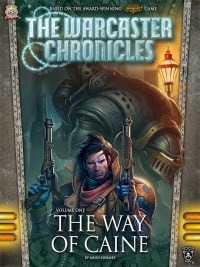 The Way of Caine can be found at skullislandx, Amazon and Barnes & Noble.